Let us become workers in an organic chocolate factory for a day in the lush Dominican interior to support the local female community that has founded this small business. We get on our coach and embark on a sightseeing tour of the Dominican interior, an enchanting succession of unspoilt hills and plains. We then reach the village of Altamira nestled among the mountains of the rugged northern Cordillera on the opposite side of Puerto Plata. Here, a group of resourceful women has established a business producing organic chocolate named Chocal, which has enabled them to support their families without having to move away from their region. Once there, we become part of this small community for a day as we work alongside these women and find out all there is to know about their job and learn the secrets of chocolate production. 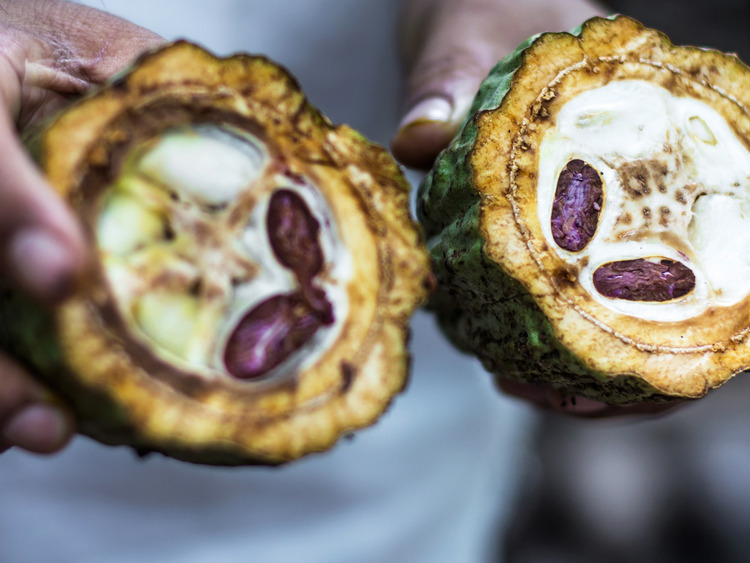 We take part in all activities: we visit the plantation where we help prepare the soil and plant cocoa seeds and work in the factory as we take part in processing and packaging activities. After this extraordinary cultural experience, we can purchase some chocolate as a memento to share with our family and friends. We recommend wearing comfortable clothing and closed shoes. A hairnet will be provided and must be worn. Do not forget to bring sunglasses, an umbrella and sun cream. This excursion will be conducted in English or Spanish.